When a Bearer of the Heavens dies, does Marchesa and her friends come back? xmistfitxzviprx any suggestions as to what to replace for Ancestral Statue ? I want to keep the curve where it is, so as for 4 drops to replace, I was thinking either Hedron Archive or Perilous Vault . The Archive is nice to have for additional ramp and some card draw, but 4 mana for 2 mana is slower than the rest. Whereas the Vault I am finding myself not casting it as much. I have thought about putting in Nevinyrral's Disk instead of Perilous Vault . What are your overall thoughts? AJe11y, basing the mana curves off of TappedOut top 5 cEDH decks is unfortunately not the best way to gather data. If you check r/CompetetiveEDH, you'll find a phenomenal and widely agreed upon cEDH repository. 1.7 isn't very far-fetched. Here's a very popular and powerful list that does so: Breakfast Hulk. 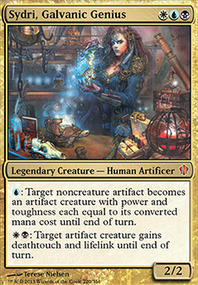 My personal project runs just under 1.8 (here it is -> Sydri, Aetherflux Genius [[Primer]]). Even higher average CMC control lists such as Tasigur Seasons Past / Season Pastigur sit closer to 2. I understand your point about infinite mana, and can agree to it to enough of an extent to accept it. You haven't missed any tutors in red, as Gamble is about all you've got, but because of this is why i recommended the stax pieces ( Grafdigger's Cage and the like) to give you options to slow down the game in hopes to draw/tutor what you need. Graveyards are huge in the current meta (i.e. Hulk, Storm, and Pod), so any ways in which you may be able to stop them are beneficial. If you don't have a problem with ramp, Trinisphere and Thorn of Amethyst may work for you as well. 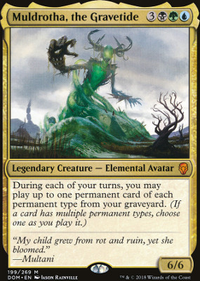 Ensnaring Bridge may be a nice card to cut because of the fact that most midrange cEDH swing with Tymna the Weaver , Najeela, the Blade-Blossom , and friends. Along with that Lightning Bolt can be a relevant sideboard card for you. Also, a sideboarded Boil over Nevinyrral's Disk can crumble mono-blue decks. Other cards that could help you filter through your deck more are Memory Jar and Forgotten Cave . Otherwise, the deck is solid and is very similar to how I would build it. The lines of play are also well explained and this is overall a very nice primer. Thank you CyborgAeon and Hissp for the ideas. I added the list to tappedout, and added your suggestions to the maybeboard. Regarding the cards, I wanted to keep the spell count as low as possible because casting Demonlord Belzenlok can hurt quite a bit, in my opinion only the basic cards are there. 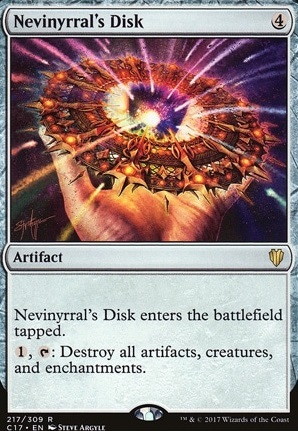 A concen I have is that the only way to get rid of hate cards is Nevinyrral's Disk , probably adding a similar card is necessary. That being said, I haven't play tested the deck extensively, there must be a sweetspot of the number of non-land cards the deck can run before becoming too hard to combo off. Maybe lifegain cards can offset the problem? I love Planar Bridge with Seedborn Muse . Use the bridge to find Muse on your turn, and get any permanent of your choice from your deck during each player's turn. Also Planar Bridge and Doubling Cube are both nice targets for Whir of Invention and Fabricate , which can also find Nevinyrral's Disk or Oblivion Stone when needed, or, in a pinch, Sol Ring . Both Mystical Tutor and Seasons Past have performed well for me in Kruphix, especially in combination. I had a Karn, Silver Golem deck that was underestimated for a short time. Even 10-ish years ago there were dirty combos to play in it, lol. I did Darksteel Forge + Nevinyrral's Disk + Mycosynth Lattice several games in a row and since then I rarely get a game where I go unmolested for long. Doesn't matter what I play now but I deserve it, lol. MoonHollow124 I'm really glad you like it. I would definitely include both those cards, maybe also some more removal. Perhaps Doom Blade . 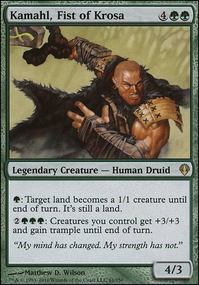 The main disadvantage of this deck, however, is if the opponent is running a lot of spot removal, so for that I would add some more targeted hand-hate in cards like Distress or more Duress . 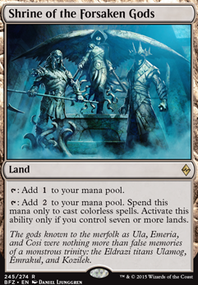 Also handling artifacts can be tricky in mono black, so maybe add a reset-button like Nevinyrral's Disk . Do keep in mind that this is a fairly casual deck, so if you are running up against decks like Izzet Phoenix or other really fast tier decks, you are going to struggle with this list. It is still fun to play though.